Ink cartridge is designed for use with Brother MFC-J6510DW, J6710DW and J6910DW. 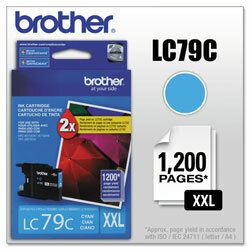 Cyan Inkjet Printer Cartridges from Brother! 304 In Stock today.